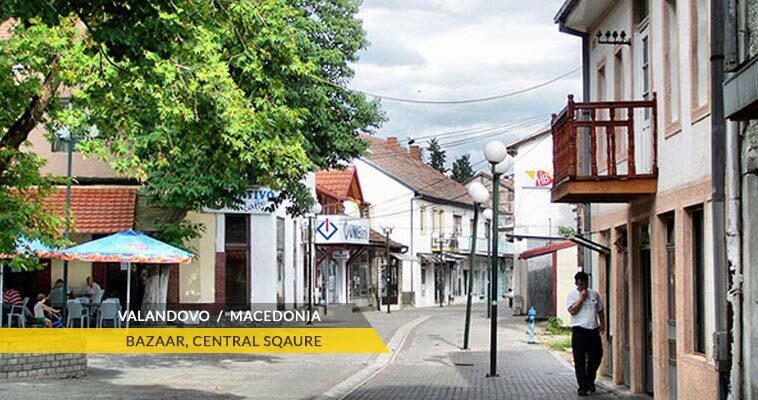 On the way to Dojran, you will pass in Valandovo, a town in the south-eastern part of Macedonia. Valandovo is seat of Valandovo municipality. According to the census in 2002, Valandovo had 4,402 inhabitants. Valandovo lies at an altitude of 110 meters above the sea level, in the south-eastern part of Republic of Macedonia in the Bojmija area on the right bank of the Anska river, between the slopes of the mountains Plavus and Belasica. Valandovo is very close to the E-75 motorway, on the road for Dojran (24 km) and Strumica (22 km). Meanwhile, in the opposite direction, heading the E-75, Skopje is 142 km away. Valandovo has a significant history and past that left such cultural roots and traditions that make this town an inevitable stop (site) in the interpretation or touring of the cultural past of Macedonia and the region. Valandovo is known for its annual music festival in which the best folk singers from Macedonia. Having an ideal Mediterranean climate, Valandovo and its surroundings give the impression of a large garden abundant with the well-known and tasty Valandovo figs and pomegranates, as well as other early-spring vegetables and fruits. Valandovo is predominantly agricultural (wheat cultures, wine, vegetables, paprika, tomatoes, tobacco are the main cultivation products).